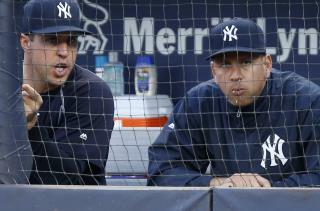 (Newser) – Alex Rodriguez will play his final major league game next Friday with the New York Yankees and then become a special adviser and instructor with the team, reports the AP. Rodriguez and the club made the announcement before Sunday's game against Cleveland. A-Rod will play against Tampa Bay at Yankee Stadium on Friday night before ending one of the most prolific and polarizing figures in baseball history. you use you lose! out forever after first time! gone any sport! Meanwhile juiced-up obvious steroid abuser David Ortiz takes a farewell tour.